Apple has long been rumoured to drop the home button from its iPhone and introduce a device with only the display dominating the front. Now it seems iPad will be the first device to adopt that change. According to a new 9to5Mac report, Apple's upcoming 10.9-inch iPad will drop the now iconic home button in favour of a design that allows for accomodating a larger screen in a smaller form factor. The report is based on a Makotakara finding which suggests that the next iPad will fit a 10.9-inch display into a 9.7-inch form factor. The report says the home button's functions (including Touch ID) will be embedded underneath the glass display. According to KGI's Ming-Chi Kuo, Apple is likely to introduce three new variants of iPad and new model having 10.5-inch model. 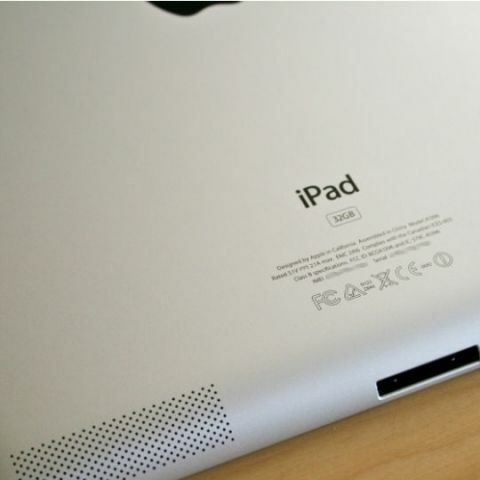 This new Makotakara report, however, suggests that the new iPad will be thicker at 7.5mm. Makotakara has a strong record of getting the Apple rumours right and who knows, the next iPad could very well pack a 10.9-inch display. A recent report suggested that Apple will introduce a new iPad with 10.5-inch display - which will slot in between the existing variants. The product was primarily aimed at enterprise customers in the education and other sectors. The big deal here is the end of home button. Apple is renowned of creating and ending proprietary user interface. The company recently killed MagSafe connector with the introduction of 2016 MacBook Pro and ended the life of 3.5mm headphone jack with iPhone 7. Apple's latest iPhones feature a new home button that doesn't have any mechanical component and uses a taptic engine for force touch feedback. With iPad, we might see end of that technology and introduction of something new altogether.